Late Monday night word spread rapidly across Serbia that TV news networks were reporting that Radovan Karadzic, junior partner in the Bosnian Serb fugitive dyad of Mladic and Karadzic, had been captured by Serbian authorities and was being prepared for hand-over to the International Criminal Tribunal for the former Yugoslavia (ICTY).Initially, reports were vague, but even though they had been cruelly fooled before, moderate Serbs and Bosnians started to celebrate almost immediately. Later in the day Serbian authorities revealed that Karadzic was arrested by "security forces" on a public bus in the suburbs of Belgrade. According to pictures released purporting to show him shortly after his arrest, he was unrecognizable as the Karadzic of wanted posters. 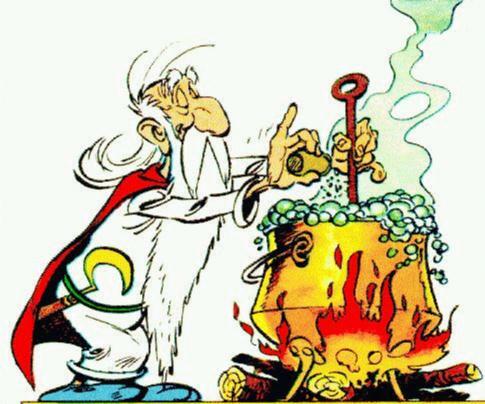 In Serbian blogs, forums and Facebook groups he was mocked as looking like Santa Claus or the Asterix character Getafix. Within hours of the arrest, conspiracy theories and urban legends were being traded across Serbia. They range from the ridiculous, "Karadzic played a gusle (a one stringed banjo) at Eurovision in front of 500 million viewers" to the absurdly true, "Karadzic was openly practicing as an alternative health expert in Belgrade". Karadzic's arrest and presence in Serbia have genuinely surprised almost all observers of Serbian affairs. It had become almost an article of faith amongst analysts that Karadzic was in Bosnia under the protection of the trans-Balkan mafia and renegade elements of the security services (that is, untouchable). Even former ICTY prosecutor Carla del Ponte thought he was in Bosnia and so did the BBC. For now it is almost impossible to figure out. There are vast networks of secret affiliation in Serbian politics. Events involving these networks -- like high profile arrests, assassinations or surprise political alliances -- generate furious speculation as to what's behind them, but in reality there is no coherent political narrative, based on what is known and recorded, that adequately explains events. The real causes will only be revealed in declassified cabinet papers, leaked intelligence service files, criminal trials and whistle-blower's books. In other words - years from now. There are, however, three predominate theories which purport to explain Karadzic's arrest. They are presented here in reverse order of credibility.